Highly recommend Bloomington CJDR to anyone looking for a new vehicle, ask for Sherry Lewandowski and she will take great care of you! Courteous, attentive, best price I found. Love my new Laramie! Thank you Steve and Rob! Quality dealership with helpful people and a friendly atmosphere. Max is especially friendly and good to work with. I buy several cars and test drive dozens of cars in any given year, and this was one of the best experiences I have had at a dealership. Highly recommend. I just purchased my 3rd vehicle from Chad Smith. He is a fantastic salesman and has always made each purchase unforgettable! He doesn’t pressure you into purchasing and makes sure that you are 100% happy with the vehicle before you buy. Peter from financing was also a pleasure to work with! Thank you both for your time and making sure everything went smoothly! I had such a great experience at Bloomington CJD! Donnie helped me find my dream car and I couldn't be happier! Pete was great also, explaining the finances to me and patiently answering all my questions. I highly recommend anyone looking for a quality vehicle, to get Donnies help at Bloomington CJD! Hilarie happily answered all of my many questions. They helped me find the perfect vehicle. They asked me what I wanted and showed me all of the options, I never felt pressured. I have literally never been happier with a purchase. Great experience. Matt Hanson was a pleasure to deal with along with Peter and Sherry. Great team! Fast, efficient and thorough! Thankyou! Sherry and Jason made the car buying experience painless. In and out in very little time. No BS, just a smooth transaction. Thank You. Amazing customer service, way more personal and friendly then some of the other dealers in the area that may leave you feeling a bit..... furious... ..
Max Tosca is one of the most detailed persons I have met. He took the time to explain all my new bells and whistles. I love my new JEEP! We had a great experience! Chad, our salesman, was very knowledgeable and personable. Everyone we dealt with was great! 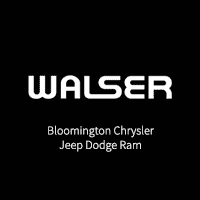 I definitely recommend Bloomington Chrysler Jeep Dodge Ram! Very friendly and competent staff, thank you Chad and Pete! I usually don’t leave reviews good or bad. However I had to this is a wonderful place to do business with. Me be a single mother at one of my lowest points with my old car. Going into a dealership by myself was really scary. However, sales man Ali made things relaxing. Also Ramon who I believe over financing came out greeted me personally and was very friendly. Everyone is very nice and it’s a great atmosphere. I was able to leave the day with a wonderful Jeep which whom I am the first owner. I’ve always wanted that experience now I have it thank you gentlemen. I’ll continue to pass the word! Bloomington Chrysler Jeep Dodge Ram draws in customers new and old the natural way: with top-quality automobiles, a sales experience focused squarely on the customer’s needs, and a little ol’-fashioned common sense.